Yule is the celebration of the Winter Solstice. The date varies from year to year, but always falls between December 20th and 23rd. The Winter Solstice marks the “shortest” day of the year- the day with the fewest hours of sunlight. From that day forward, the hours of daylight grow longer as we head toward spring. In the modern world (at least in the US) the Solstice is also the official start of winter- the beginning of a season centered around hearth and home. In Pagan tradition, Yule is the symbolic “resurrection” of the sun. As Samhain marked the “death” of nature, the Winter Solstice is when the season stops symbolizing the Underworld and instead becomes the womb- the anticipation and preparation for new life. Though we are still in the dark belly of nature, spring is coming- a new beginning. 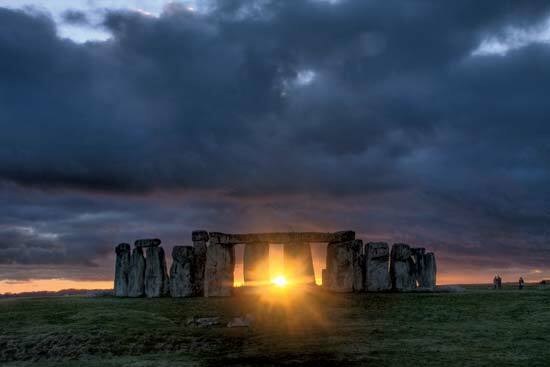 The most popular and enduring tradition of ancient Pagan Solstice celebrations has been adopted by almost every culture at this time of year- LIGHT. In the month of December, you will see lights everywhere- candles in church windows, white fairy-lights twinkling on evergreen trees, a thousand LED bulbs strobing to the tune of the Trans Siberian Orchestra. But the tradition stems from the Pagan practice of lighting candles and bonfires to lend strength to the returning sun. Another Yule tradition you’ll probably recognize- pine trees. Coniferous trees such as Pine and Spruce are some of the only trees in the hemisphere that do not lose their leaves and “hibernate” during the winter- thus the name “Evergreens”. Pagans in many parts of the world decorate their homes with evergreen trees, holly and ivy because they endure through the inclement winter weather, and help bring that same strength into the home. The holiday season is widely regarded as a time for family and friends, gathering around the fireplace, sharing gifts and feasts and generally making merry. In a large part of the world, winters are harsh. Before the age of supermarkets and electric blankets, resources were limited, and the hearth was the home’s source of heat. Friends and family gathered to share what they had and celebrate in the midst of an otherwise oppressive season. Though society has evolved to a point where many of us live in comparable comfort during the winter- as in, we’re not limited to whatever dried meats and root veggies we’ve preserved- Pagans still take the Yule Sabbat to honor the spirit of gratitude and sharing that arose from difficult times in our history.